Naomi (Zisel) Blake was born in 1924 in Mukačevo, Czechoslovakia (now Mukacheve, Ukraine) to Jewish parents, the youngest of ten children. She survived the Holocaust as a child in Auschwitz, although many members of her family perished. After the war she lived in Milan, Rome and Jerusalem, before settling in North London. She studied at the Hornsey School of Art in London (1955-60) and began exhibiting in 1962. Many of her sculptures are publicly sited at locations including Fitzroy Square and St Ethelberga's Church in London, the University of Leicester Scarman Centre and The Holocaust Centre, Nottinghamshire and her work is also in a number of private collections. She served on the council of Ben Uri's Art Committee between 1975 and 1993 and was a member of the Royal British Society of Sculptors. 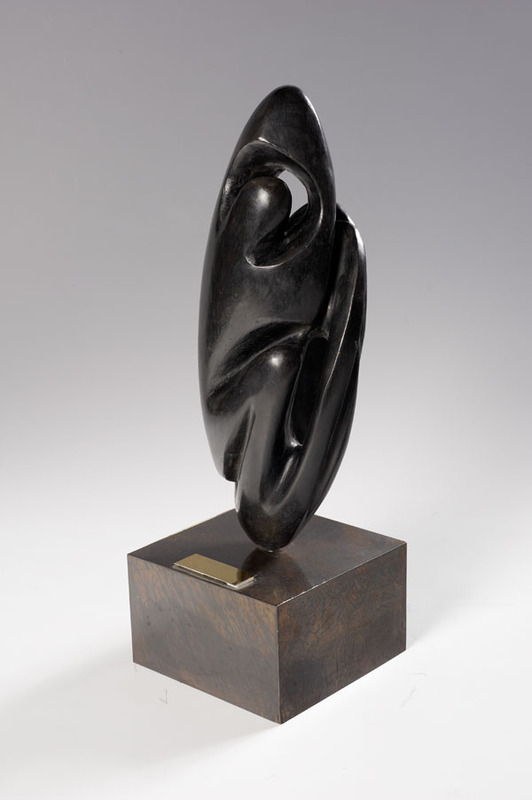 Her daughter, Anita Peleg, published two books devoted to her life and work, ‘Naomi Blake: Dedication in Sculpture’, a comprehensive catalogue of her sculptures, and ‘Glimmer of Hope: The Story of Naomi Blake’. Naomi Blake's sculpture encompasses both abstract and figurative forms. Her granddaughter, Lucy Blake, has observed that much of her grandmother's work 'focuses on the expression of her experiences, and is principally optimistic. It stands determinedly to help keep alive the legacy of the six million slaughtered Jews, as well as promoting her vision for uniting different faiths, her confidence in humanity and her hope for the future'.